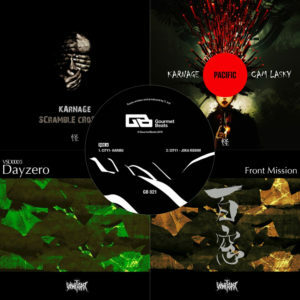 Goth-Trad‘s latest venture was the debut album of his new band, Eartaker, released last September, but now he is finally back with new solo material, which (besides a few remixes and collaborations) is his first since his 2016 album, Psionics. This time he teamed up with JK Flesh (aka. 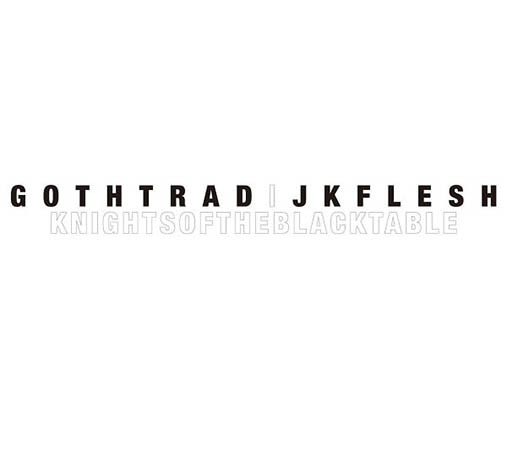 Justin K. Broadrick) to release a split CD titled Knights Of The Black Table, that contains four tracks by him and four by the English industrial metal legend. 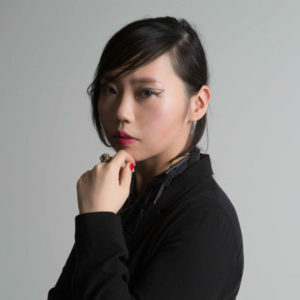 While Broadrick is mostly known for his bands Godflesh and Jesu, under the name JK Flesh he’s been releasing electronic music as a solo act for several years now, skipping his trademark heavy guitar riffs, but maintaining the industrial influence. And for this release, that’s been in the planning phase for about five years, the two agreed to have “slow motion industrial dub techno” as the common theme, which, for Goth-Trad, marks yet another step towards the more experimental sound that he’s been shifting towards to for a while now. The split CD was released last week as the latest installment in Daymare Recordings‘ split series and two of the tracks were uploaded to Spotify as a preview, including Goth-Trad’s opening tune, Bloody Dice, which is indeed an incursion into slow and industrial influenced musical territories, recalling Scorn and similar acts, but it also makes his deep dubstep background obvious, especially in the use of heavy bass sounds. « Minami Deutsch and Damo Suzuki’s joint performance from Roadburn Festival 2018 is out on vinyl and digital!